The Wind Power Surf Shop has been teaching windsurfing for over 35 years. We consistently and persistently love and promote the sport of Windsurfing through our lesson programs, hosting events, supplying quality equipment and gear both new and used, and much more. 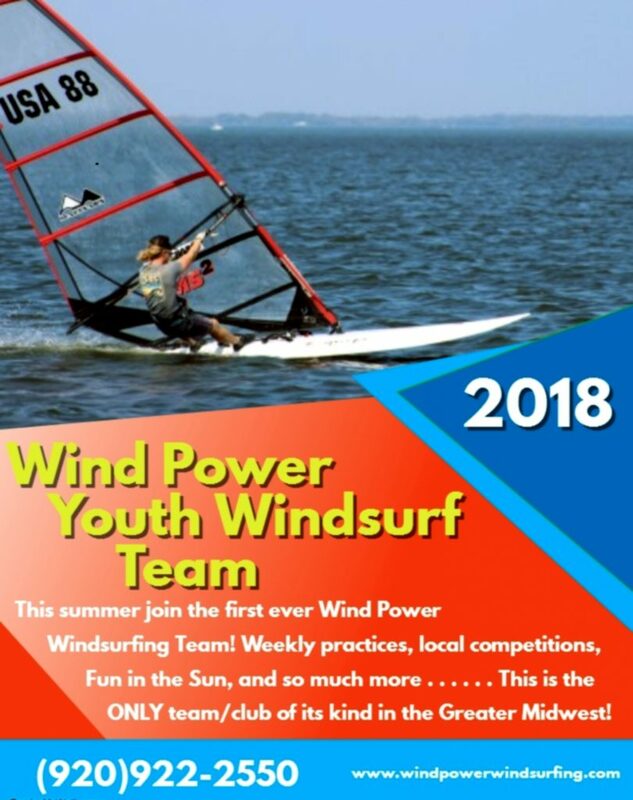 The Wind Power Surf Shop is the leading Windsurfing School throughout the entire Midwest Region and we continue to grow. We see the importance of superb instruction, and instruction in general, because without it the sport would struggle to survive. This is why we offer two GREAT programs for people of all ages and experience levels, our Youth Windsurfing Program and Adult Windsurfing Program. It is critical to point out that these programs are designed for ALL windsurfing experience levels, first time beginners all the way to advanced sailors. Whether you are looking to improve your skills, enjoy your time more on the water, socialize with other windsurfing enthusiasts, become a part of a fun and active community, we advise you to look further into our Windsurfing Programs, and our Windsurfing Shop and Community in general. We are here because of our love for Windsurfing and we want to share this with as many other people AS POSSIBLE. The following is a Letter written by WISSA Competitor Klaus Faisst, bib #001, from Toronto, Ontario Canada. Klaus is a veteran WISSA competitor with many Worlds Champs attended. His expertise, advice and great attitude helped make the WISSA 2015 event a success. 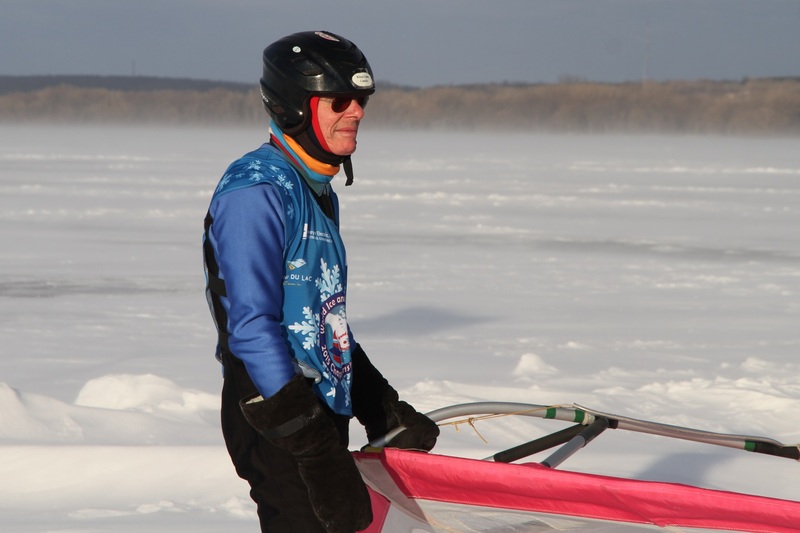 He was very involved in the preparation of Racing as Fond du Lac hosted it’s first World Ice & Snow Sailing Championships. Three weeks have now passed since returning from Fond du Lac … enough time to reflect on the many highlights of WISSA-2015. Today I would like to express my sincere gratitude to you and the three organizing teams – the Fond du Lac Area Convention and Visitors Bureau, the Winnebago Association of Kiteboarders (WAK) and the Wind Power Windsurfing & Kite Center – for executing this highly successful international event in your community. I also want to summarize my own impressions as well as comments from other participants and observers. You and your teams and volunteers with your sponsors and media partners have accomplished so much that it will be impossible for me to account for everything. Also, many of your activities before, during and after the event took place “behind the curtain”, and remained unnoticed by the competitors. As a long-time WISSA-participant I now dare to say that you have staged one of the best or perhaps the best event ever in WISSA history. Your experience from previous Sturgeon Stampede / Winter Kiteboarding Classics had clearly paid full dividends, and so did your numerous meeting discussions and correspondence exchanges with your team members leading up to the event. Equally beneficial was, without any doubt, the personal experience of the Gratton-Brothers in national and international competition. Andy and Kevin had the racing part firmly under control. Fond du Lac has now set a new standard and will serve as an example for conducting future WISSA world championships. In addition to the actual competition, participants of WISSA-2015 will also long remember many other highlights and special features from our 35th World’s in Fond du Lac. They include the festive character of the opening and closing ceremonies at the Yacht Club and the Retlaw Hotel, the large snow-free area you had provided for short track slalom (STS) races, the wide-open area for the course races, delicious and plentiful luncheons in heated shelters, the huge birthday cake for our WISSA-friend Kalev from Estonia (a most thoughtful gesture) and lots more. Competitors will also be talking for a long time about the Friday evening extravaganza at “WISSA Village” right on the frozen lake, including the gigantic bone fire, the Sturgeon Queen contest, ice boat rides with Andy, lively entertainment by the music band “D-Willy and the Souvenirs” inside the heated tent, and of course the spectacular fireworks. Equally gratifying, competitors will also have taken home fond memories of spirited camaraderie during the week at the Retlaw Hotel, the educational and entertaining evening at the Thelma Sadoff Center, watching the “Frozen Chosen”, as well as convenient shuttle service, continuous assistance from volunteers, throughout the week plus special gifts from sponsors (I got a nice Cabrinha shoulder bag at the closing ceremony). Visitors from overseas were especially appreciating the transportation you had provided from and to the airports. A very special thank you for all your help in this regard. Your careful attention to so many details could be observed right from the beginning. The participant’s packages (C’mon in) found on arrival in the hotel rooms contained, in addition to Craig’s warm welcome-letter, all essential information… event schedule, official area guide, restaurant guide, shuttle service. The same goes for the registration packages received on Monday at Wind Power Windsurfing & Kiting Center, containing – in addition to a WILLKOMMEN-letter from the three organizing teams – all essential race info, including a really nice name tag with individualized country flag, sailing instructions, WISSA site maps, T-shirt (at last I got one with long sleeves), race bib and plenty of goodies from event sponsors. This feeling of being well looked after remained with us all week right to the moment of departure. Obviously, a great deal of collective thinking as well as plenty of emotional intelligence has gone into this event, resulting from your early planning and plenty of good will on all sides. The attractive trophies made by sled sailor Brian Reedy received plenty of admiration as well. Brian’s creative talent and craftsmanship will now be a discussion topic by the glorious champions from far away places. And one more thing needs mentioning… the event logo, so prominently displayed on the individualized participation diplomas, medallions, race result sheets, bibs and many other event items. Positive feedback on WISSA-2015 had even arrived from my brothers back in Germany, who were stunned by the event’s world-wide publicity. The drone video, showing some of the action in WISSA-Village from the birds eye perspective were definitely a hit. My brothers also talked about the beautifully arranged flags of the 11 participating nations “standing” in a stiff wind. The race committee and their helpers deserve special recognition for preparing and executing world-class course races and short track slalom (STS) races. Actually, we learned a few useful things from you guys, including the clever diversion of the kites away from the sleds and wings. It enabled all three race classes to use the same start and finish. Best of all, to my knowledge, there were no complaints about damaged kite lines from interfering sleds and wings (usually there are plenty). And what a pleasure it was to watch the flawless 5-minute count-down for the kites and then see them take off towards the upwind mark at full speed. The race course might have been somewhat longer than usual. However, with the strong winds it only raised the standard for international competition. Kevin, Andy, Jim and all the other folks who were doing such a great job in the freezing cold… on behalf of all competitors, thanks a million for your dedication and endurance. The STS-course was also generously sized which made racing extra thrilling since competitors could gain extra speed between turns. Only some of us competitors can appreciate the efforts required in preparing and maintaining such a large snow-free surface. Pictures by media partner CNN and the video produced on February 11, show plenty of fast action on the STS-course and will always be a proud reminder of those great moments – with snow blowing horizontally over the ice. Of course, Richard Liepins from Latvia (the tallest in the WISSA-family) was the key player in the STS-races. Without him it would not have worked. I will write to Richard separately and will thank him as soon as I am done with this review here. In connection with the STS-races I have only one regret: That we could not demonstrate it to a member of the International Olympic Committee (IOC). The inclusion of a sailing event in the Winter Olympics has been a long-standing objective by the IOC. Could anyone imagine the publicity for Fond du Lac from showing STS racing to the world, and the demo eventually leading right up to a future Olympic discipline? Am I dreaming too big now? I don’t think so. Short track slalom racing is Olympic material, containing all the elements of a spectator sport… fast, fluid, graceful action, wild wipe-outs, easy to follow and to score. 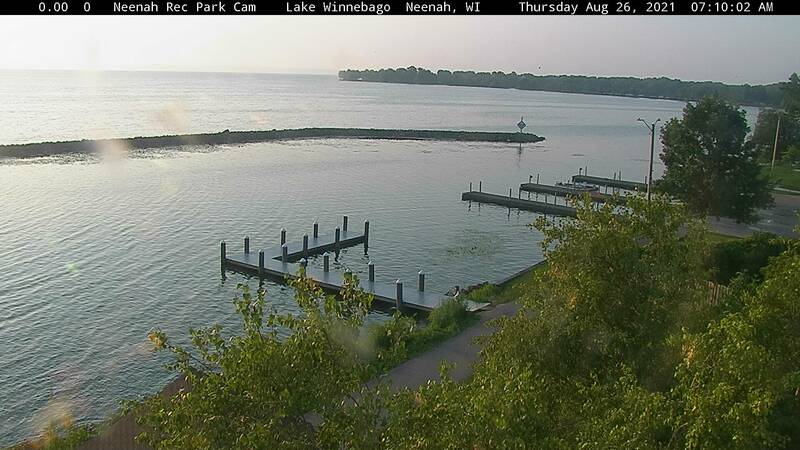 Very rarely do we get the combination of conditions we had in Fond du Lac, i.e. a large snow-free surface, clean winds and the best contenders and race master in the world. To the few participants who were lamenting about the missed marathon race and the big air jumping competition on “Blizzard Saturday” I want to say: Count your blessings that we had a sensible race committee, fully aware of the risks associated with excessive winds and white-out conditions. They deserve special praise for assessing the weather and acting accordingly. Searching for survivors in poor visibility is no fun. Kudos also for the well prepared substitute program on Saturday, starting with comfortable lunch at the Sunset on the Lake Grill & Bar, followed by a stimulating afternoon at EAA’s Air Venture Museum in Oshkosh. This visit has been on my “to-do-list” for many years. By the way, after Andy’s announcement on Blizzard Saturday’s skippers meeting quite a few competitors (including myself) were happy about the day off. Sled sailor Mike Bierworth (011) was obviously not one of them. Mike’s reputation is now well established both as an exceptionally tough long distance sailor (57 miles in extreme weather) and as a brilliant help for computer work associated with registration and race results. Thank you Mike, for also incorporating beautiful action photos in the result sheets. Plenty of admiration also goes to the folks who were doing speed trials on Blizzard Saturday. Thank you for enduring it all. The speed clocked by kite sailor Robert Cook of 55 miles /hour (88 km/h) in those conditions is truly impressive. The WISSA-success at Fond du Lac may now bring up a fairly obvious question: Could we do it again? Perhaps it is too early to ask. You, the organizers need a rest now. So much time and effort has been consumed in the past year, on top of some uncomfortable periods filled with uncertainty about the event’s outcome. Of course, projects like these are always extra difficult the first time around. 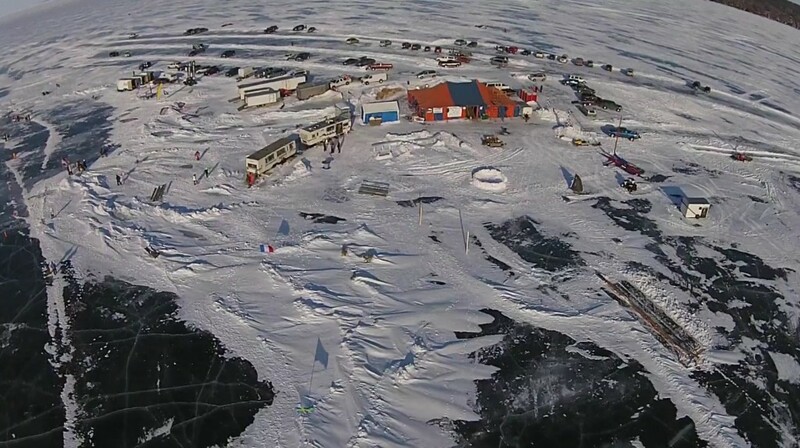 For WISSA to return to Lake Winnebago in future years would certainly be a “no-brainer” because of the outstanding pre-requisites: A welcoming community capable of providing a grandiose winter playground for ice & snow sailing with easy access to thick ice, reliable winds, competent officiating, convenient equipment rentals from Kevin’s shop, comfortable shelters for competitors and equipment, expert help with waxing, super clean toilets, shuttle service between Hotel and race site, manageable transportation from and to airports. In fact, Fond du Lac may well be one of the best places in North-America. Furthermore, your model of combining the Sturgeon Stampede with WAK’s sailing races has been working well in past years and staging the two events back to back, like this year, has worked even better. “WISSA-Village” can easily be turned into “Stampede-Village”. Many of your preparatory activities would be common to both events. Naturally, you, the organizers would have to assess the cost/benefit question and what a future WISSA-event would add to local prestige and regional economy. Kevin, once again, our outmost appreciation goes to you for taking on the task, way back, and for your steadfast determination to turn WISSA-2015 into a such a fantastic event – the best we ever had on this continent. You fully deserve all the satisfaction associated with our success! Thank you very much! Gentlemen, please also convey our gratitude to the volunteers, event sponsors and media partners. Best regards with a big thank you also to Don Altmeyer, Duane Waltz and Ed Schneider. I would have loved to spend more time with all of you – on and off the ice. It was also wonderful to observe that many of you (organizers, volunteers, trophy makers, computer wizards, sponsors) are also avid all-year-round sailors and competitors. Chances are, some of you have been enjoying more ice sailing after WISSA-2015 than prior to and during the event. Thank You Klaus for all your efforts making WISSA 2015 a great event! Please leave a comment for Klaus and everyone to read. Here is an embed of the Drone Video from WISSA 2015. During the recent World Ice & Snow Sailing Championships in Fond du Lac, we updated the Event Status with short summaries each day that were available on the Live Camera page or on the Wind Power Weather Center. 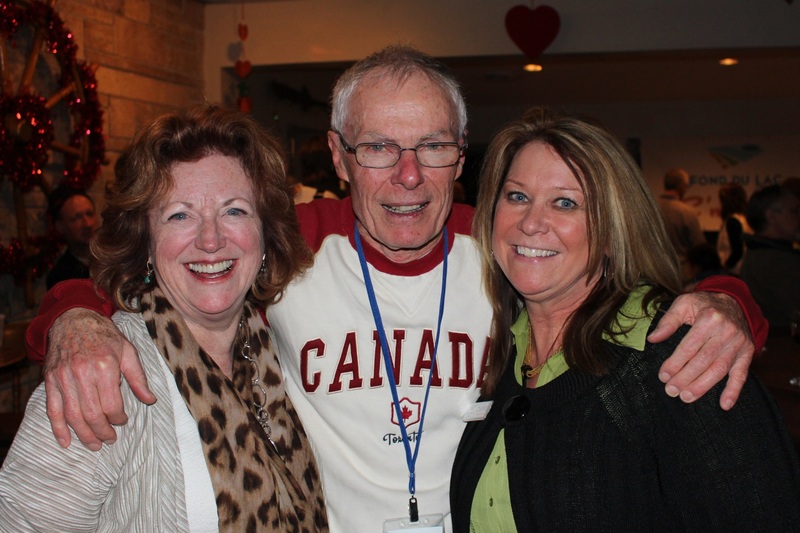 Monday Feb 9: WISSA 2015 was officially declared Open at the Ceremony at FDL Yacht Club. A practice course race and STS were done, but the wind became very light….Now we wait for some wind. Tuesday Feb 10: SE Wind came up after lunch. Short Track Slalom races for Sled & Wings Racers were held. Conditions were good. The Kites held 3 course races NW of the event site. The race results should be posted tomorrow. Wed Feb 11: Windy and Windy. The Wind came up on Wednesday NW 20 mph gusting to 30 mph. 2 course races for Kites, Sleds and Wings were completed before lunch. After Lunch, 1 more course race and then on to STS (short track slalom). The Short Track was awesome to watch and race as it was very windy and the conditions were excellent. Thursday Feb 12: Good NNW wind in the morning. 3 course races were run north of the event site. The temps were low (6F/-14.4C), but the snow seemed better. The 20 mph winds dropped to about 13 by the end of the last course. After lunch, the Sleds and Wings did a few Short Track Slalom races, but the wind was getting light so the day was called about 4pm. Friday Feb 13: We had a south-west wind 15-20 mph for the 3 course races for Kites, Sleds and Wings. The course was just under 4 miles long. After lunch, STS races were held and the wind was great about 18 to 22 mph. There were some aweome races and a few spectacular crashes. The bonfire got started to create some warmth. The Sturgeon Queen contest had numerous contestants, 4 finalists and Molly J. was crowned the Queen. The fireworks show was quite a site. Andy Gratton was giving ice boat rides on the STS track until late in the night….what a day! My GPS showed 31 miles total for the day. Saturday Feb 14: Very strong North-Northwest winds on Saturday. The Wind Power Weather Center rated it at 4 windsocks (25+ mph ave) for 5.75 hours. The race committee declared no course or STS racing due to strong winds and very low visibilty (0.1 mi). Speed runs with the radar gun were ran just north of the event site. Bob Cook got a top speed of 54.4 mph on kite with skis. This was the windiest day on Lake Winnebago this Winter season. A few sailors free rode for a while as the day cleared up nice. Mike (#011) did the Honorary Long-Distance with 5 trips to the FDL Lighthouse and a total of 57 miles (630 miles for the season since 11/21/2014). The Closing Ceremony and Awards banquet was held at the Retlaw and was a great dinner with awards. Hopefully all the racers and spectators had a great time at WISSA 2015. It was an exceptional event!! Thanks to everyone who contributed to making this event happen and the racers for traveling to Lake Winnebago. Stop by the Event site or Wind Power on Sunday. Post-event Update: It’s Monday morning and what an amazing event. I am more tired (and sore) than Sunday. Anyway, the Tent is down and the Event Organizers have been working hard to clean-up. The weather Sunday & Monday is cool, but light wind and sunny makes for a couple beautiful days. We will be sending out an e-mail to racers, volunteers and staff shortly with FTP info on sharing media (images and video) and soliciting some feedback. If you left anything behind, please notify Dan Duester or Kevin at Wind Power. What a great Event! I have referred to this a few times just to remember what direction wind was blowing that day. Hopefully others find this useful too. We hope everyone made it back home with safe travels and has great memories of this exceptional Event put on by Wind Power, WAK and FDL Visitors Bureau. Also, a huge THANK YOU to the Race Committee for running great races! Mike Bierworth (#011) was nominated for the ‘Honorary Long Distance’ with 57 miles sailed on Saturday Feb. 14. No racing was held Saturday due to high winds and very low visibility. We are going to be adding content to our blog and site in the near future. It is windy today, so gonna go out and sail a bit. Thanks to ALL the Racers, Volunteers, Hosts, Sponsors, Spectators and everyone at WISSA 2015! What are you doing the week of Febrauary 9, 2015? 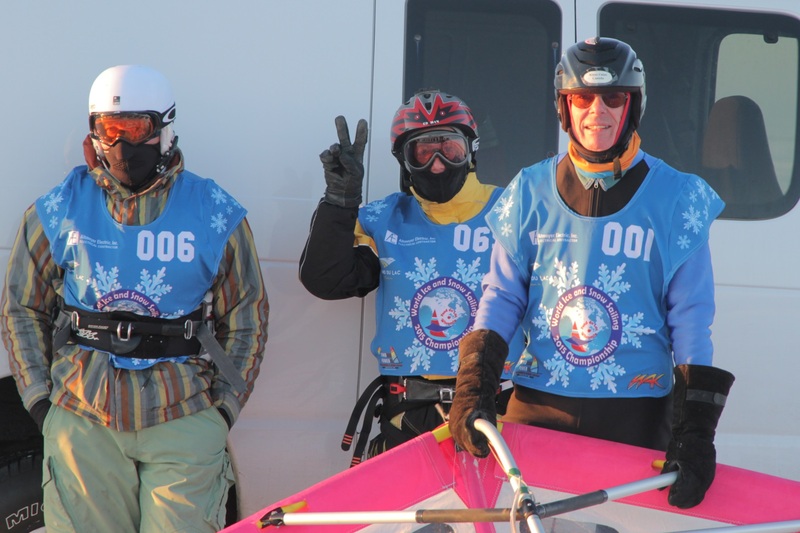 Hopefully you can make it to the World Ice & Snow Sailing Championship Race on frozen Lake Winnebago either as a participant, spectator or both. Fond du Lac, WI (USA) has been chosen as the North American host for this annual event. The event is simply referred to as WISSA 2015. 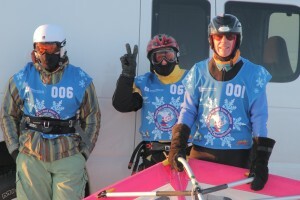 The World Ice & Snow Sailing Association (WISSA) , Winnebago Association of Kiteboarders (WAK) and Wind Power Windsurfing & Kiting Center are the primary organizations running the event. The Fond du Lac Area Convention & Visitors Bureau (FACVB) is providing an incredible amount of support in coordinating and promoting the event. See the Official Press Release for WISSA 2015. The event attracts competitors from all over the globe. The race typically alternates between Europe and North America locations annually. It was held in Madison, WI back in 1995 and in St. Ignace, MI (north end of Mackinac Bridge) in 2012. 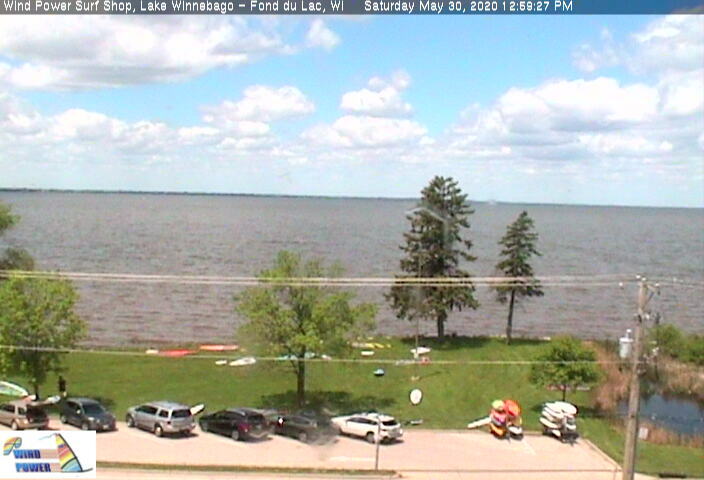 Wind Power was at both of those events and we are super stoked to have the WISSA 2015 event right off Roosevelt Park in Fond du Lac on Lake Winnebago. This location is right across the street from our Surf Shop and is the most popular windsurfing and kiteboarding launch on Lake Winnebago no matter what time of year. Join the 24th Annual Sturgeon Stampede! Warming up and winding down after a great day in the wind. Lake Winnebago has turned into a winter play ground again. Many sports take place on the lake in the winter. Kiting, Ice Windsurfing, Ice Boating, Snowmobiling, Ice Bikes, 4-Wheeling, Cross-country Skiing, Ice Skating and of course Ice Fishing. 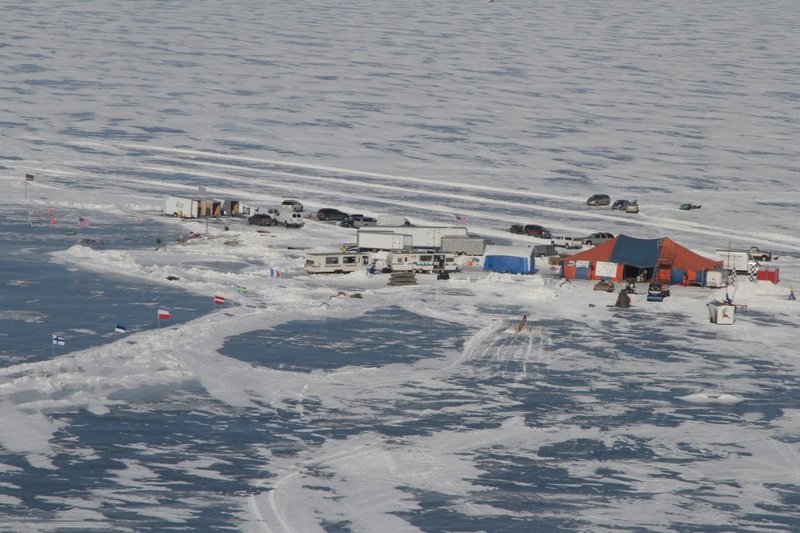 Those are just a few of the many activities enjoyed in the winter on the frozen Lake. Airplanes touch down, people drive their vehicles on the lake, and it’s like another city out there in the Winter Wonderland. 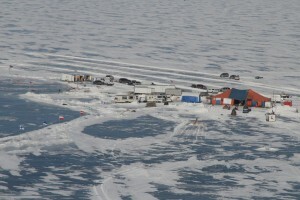 There is a very busy time on the lake when Sturgeon Spearing takes place. There can be 10,000 shanties out there with someone in them trying their luck at capturing a Sturgeon. Sturgeon Spearing usually starts the second weekend of February and runs until the harvest quota of sturgeons are meet which usually takes about a week. The Kiting Event will kick off Friday with the courses and jumping ramps being setup and tested vigorously. Beer and Food follows. Saturday morning registration takes place until 11:00 am followed by an 11:30 riders meeting to discuss the events and their format. Possible Events include Lake Crossing, GPS Speed Drags, Kitercross (obstacle course), and the Big Air Contest. Beverages and warm food will be available. At dusk the bonfire will be lit with the awards to follow. Sunday is a funday with more fun racing. It is also the back-up day for lack of wind or good conditions. As of this writing the conditions on the lake are excellent for the event. Kevin has had the busiest winter yet teaching Winter-Boarding(Windsurfing on the ice/snow) and Kiting. Winter is the easiest time to learn both sports, especially Kiting. You can learn to kite in 2 – 3 hours in the winter versus 2 – 3 days in the summer. It takes much more power generated from the kite to get moving on soft water. If you kite about 10 times in the winter your skills should be at a much better level to learn the soft water kiting easily. If fact you should be able to get rides on soft water the first day you try after kiting in the winter. Many of the Midwest’s best kiteboarders will collect off the shores of lake Winnebago to show off their favorite tricks while competing in a variety of heats including: Speed drags, Kitercross, Lake crossing, and of course Big Air . Events will be scheduled from Noon to dark each day, wind permitting. Kiteboarding is the fastest growing water / snow sport in the world, and can be enjoyed year round, on snow, ice, or water. It combines the fundamentals of wakeboarding or snowboarding, along with flying a 3 to 16 meter kite for power. The power of the kite allows jumps and tricks often exceeding 20 feet, and the ability to free ride for hours at a time. No gasoline or lift ticket required! The members of WAK invite you to their event Feb 9-10 and suggest you dress for the weather and bring your camera. Several kite instructors and retailers will be at the event for those interested in learning the sport. An ice bar will be featured at this years event as well as heated shelter, music, food and refreshments. Other activities include ice bowling, Sturge-O-Rama, Sturgeon Queen contest, awards presentation, and a bonfire at dusk.